Olympic Park Reflecting Pool | Just Shooting Memories! 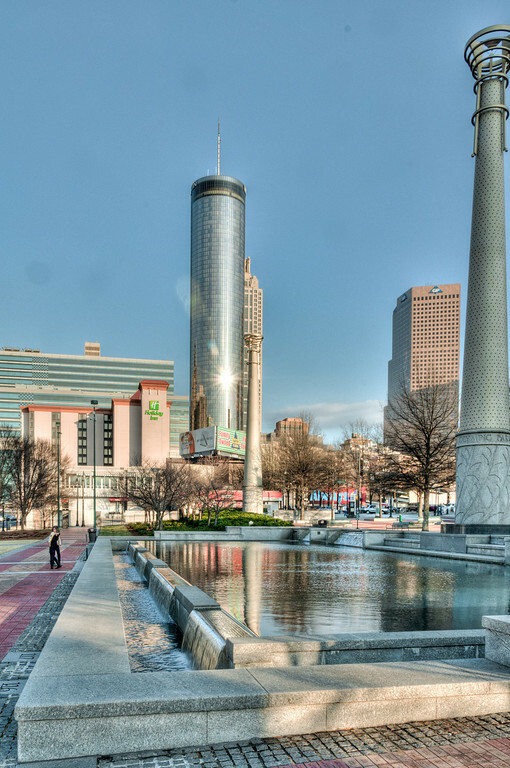 Centennial Olympic Park in the heart of downtown Atlanta is a great place for photography. There are tons of water falls, pools and fountains located throughout the park. However, bring your walking shoes because you will not realize how far you go before starting back. If you make it here during the winter, you can even catch a few laps around the ice rink. This is a shot of the pool just across the road from the Olympic Rings Fountain. I had been to the park many times and somehow I did not remember this was here. I guess I just got caught up in everything else going on.